Muncheye and product creators Bobby Shahzad & Yasir Abbas announced the launch of InterFunnels, a full-function sales funnel builder platform with free hosting and funnel options. The product is set to launch on the 21st of March, 2019 at a front-end price of $69. Internet marketing company Muncheye announced the launch of InterFunnels by product creator Bobby Shahzad. The sales funnel builder platform is scheduled for launch at 10 AM EST on the 21st of March, 2019. The all-in-one cloud hosted sales funnel creation platform is designed for new and experienced marketers to be able to deploy multi-channel sales funnels across industries and business niches. 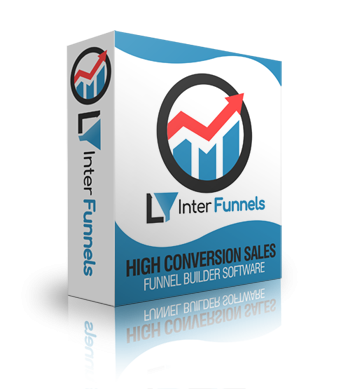 InterFunnels is bundled with professional marketing assets and a full-function page builder software. The product bundle helps users quickly create and deploy responsive lead generation pages with autoresponder capabilities and online payment acceptance through PayPal, Stripe, and Auth.net. The platform is bundled with a ready-to-use free hosting account, membership site hosting, a drag-and-drop page editor, Amazon S3 audio and video storage, discussion forums, and full membership funnels. The product includes in-depth online training modules to guide new and experienced marketers through the setup, use, and management of all package components. The package contains pre-designed elements and templates that can be deployed in minutes and does not require users to possess technical, design, or coding skills. InterFunnels can be deployed for new or existing businesses and is scalable to the lead generation and target conversion requirements of small, medium, or large businesses. All online functionality and storage allow users to access the platform at any time and from anywhere in the world. InterFunnels is an all-in-one multiple sales funnel builder by product creators Bobby Shahzad & Yasir Abbas that will launch at a front-end price of $69. More information is available at https://muncheye.com/bobby-shahzad-interfunnels and at the URL above.